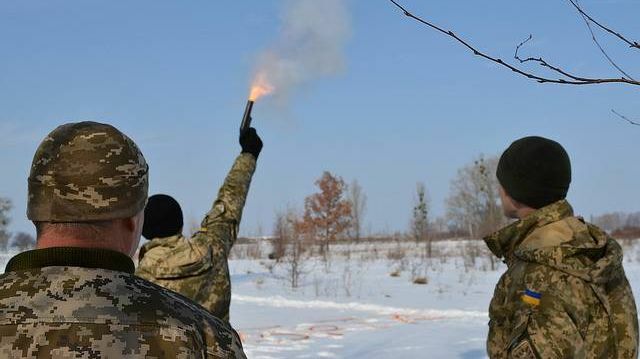 Over 24 hours on January 14 and 15, the units of the Ukrainian army opened fire on Lugansk People’s Republic territory 5 times, the Press Center of the LPR People’s Militia reported via its web site on January 15. The Ukrainian military used 82 mm and 120 mm mortars, various grenade launchers, weapons of light armored vehicles, and small arms of various calibers. The shelling targeted positions of the LPR People’s Militia (LPR PM) near the towns of Kalinovka, Pervomaysk, and Golubovskoye. The shelling took place from 11:55 AM till 9:30 PM from the Ukrainian army’s positions near the towns of Luganskoye, Popasnoye, and Novotoshkovskoye. The type of damage to the buildings and infrastructure in the towns that suffered from the shelling, as well as any victims among civilians and military personnel remain to be determined. According to the intelligence services of the Donetsk and the Lugansk People’s Republics, Ukraine continues to build up its combat power in the conflict zone. Ukrainian military equipment prohibited by the Minsk agreements, including Mi-24 and Mi-8 helicopters, is reportedly being concentrated in the immediate frontline area. This entry was posted in News from Ukraine and tagged Classical War, donbass, LPR, Shelling, Ukraine, Violation of Ceasefire. Bookmark the permalink.